Win a Microsoft Surface 3 or a Chromebook Pixel! 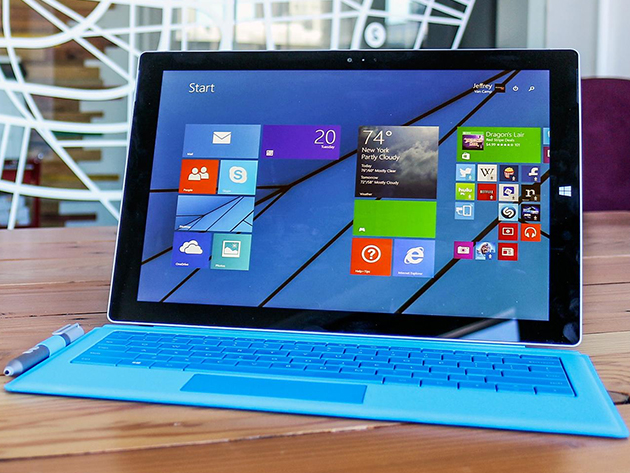 The brand new Surface 3 from Microsoft combines a nice 10.8-inch touchscreen with the functionality of a desktop. Enter our giveaway, and it could be yours (and if you are quick, you can still enter our Chromebook Pixel giveaway, too). Half laptop, half tablet, the Surface 3 gives Windows 8.1 an intuitive touch-based interface, while maintaining the key features of a laptop — a full-size keyboard, a trackpad, a USB 3.0 port, a Mini DisplayPort and a microSD card. It runs all the standard apps (incl. Office) you would expect from a Microsoft machine, and it is the thinnest Surface device yet, at 8.7mm. The Chromebook Pixel is equally impressive, with a stunning 12.85” touchscreen display, and a 2.2GHz processor under the hood. It also packs 8GB of RAM, making Google’s lightweight Chrome OS work at speed. For a chance to win these two fine examples of touch-based computing, head for the links below and hit the big green button to create an account and secure your entry. Then, just share on social media for more chances to win.